The flavor of Costa Rica! Our classic Dark Roast is a blend of the best beans from Costa Rica's Central and Western Valley growing regions. 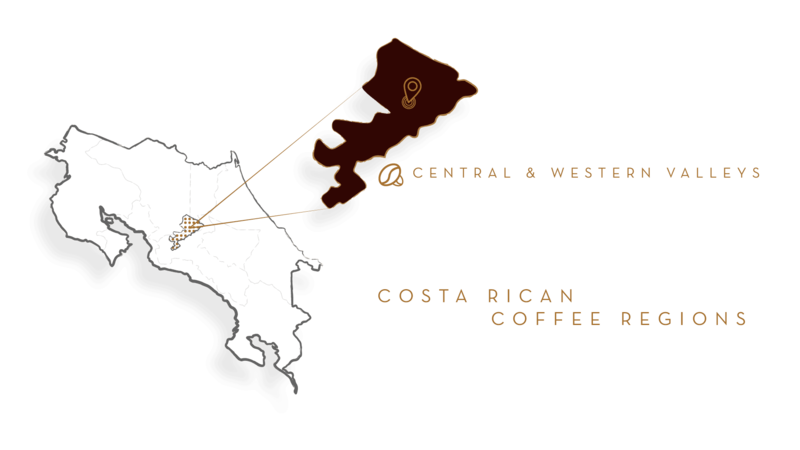 The Central Valley's sweeter and more acidic beans combine excellently with the Western Valley's dense and full-bodied beans, resulting in a perfectly balanced cup. This blend is dark roasted to bring out its rich profile and noticeably chocolaty aroma. As the darkest roast of all our regular coffees, we're confident that we've managed to capture "the flavor of Costa Rica" in this blend.